Deciduous perennial. 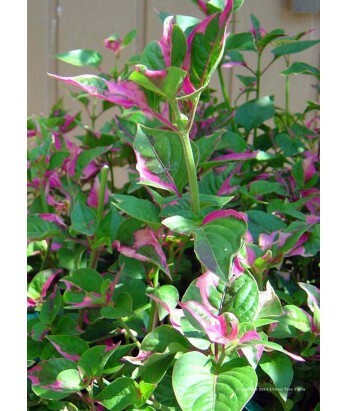 Beautiful multi-colored, Pink and green foliage brightens up shady areas. Small white flowers are insignificant, this plant is grown for the foliage color. Moderate water needs once established. Adaptable to various soil conditions. Hardy to 35°F.